LW Desolve Case of 12 - 1 Qt. 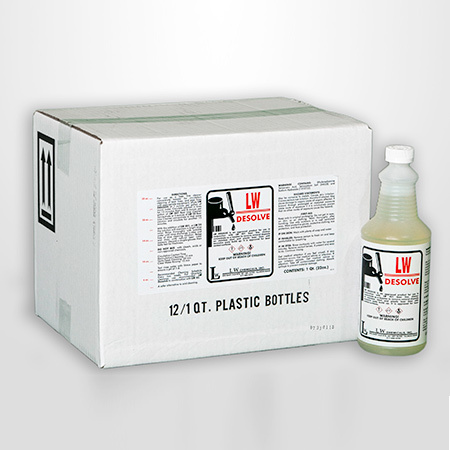 Bottles - L W Chemicals, Inc.
Mad Cow Disease Information, LW Chemicals Inc.
LW DESOLVE is an approved product for use in conjunction with LW 401 beer line cleaner concentrate as a booster to remove mineral deposits on stainless steel and plastic beer lines with excessive scale build up. It is approved for beer contact surfaces. Copyright © L W Chemicals, Inc.